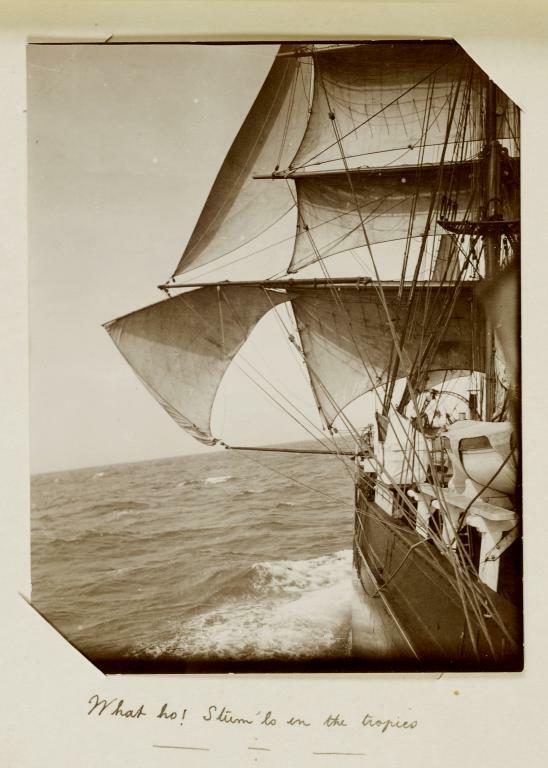 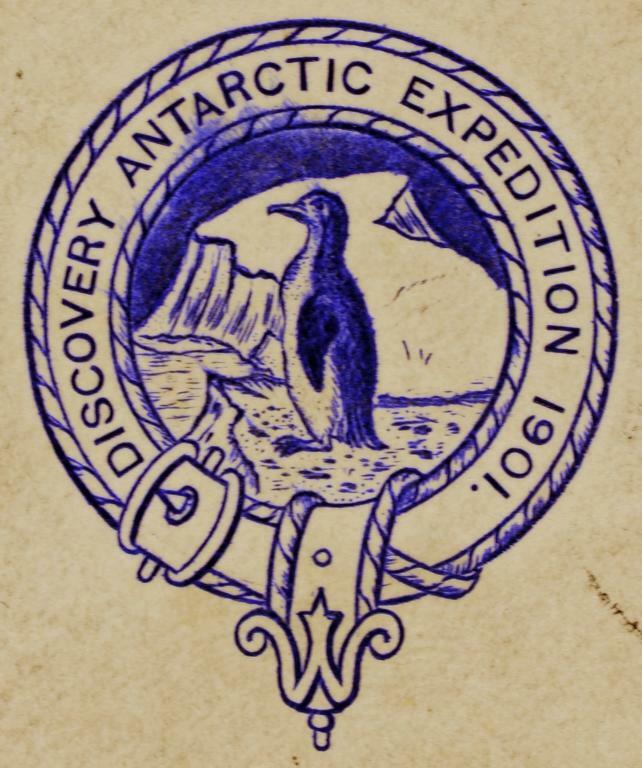 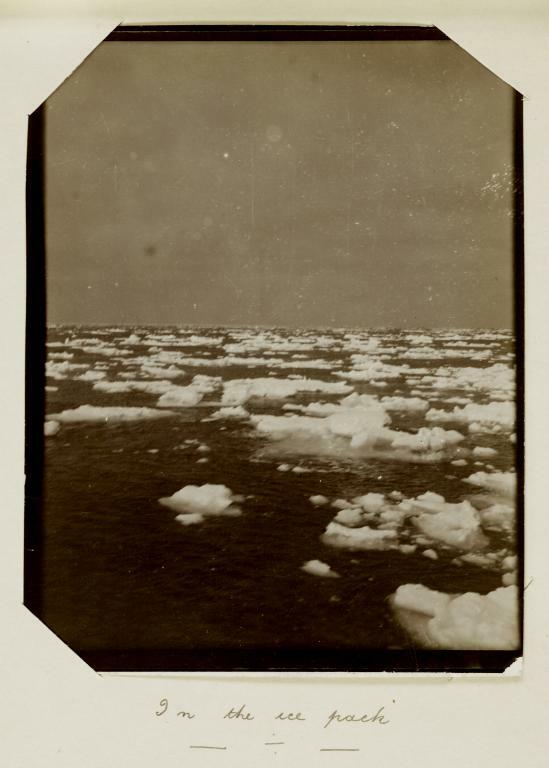 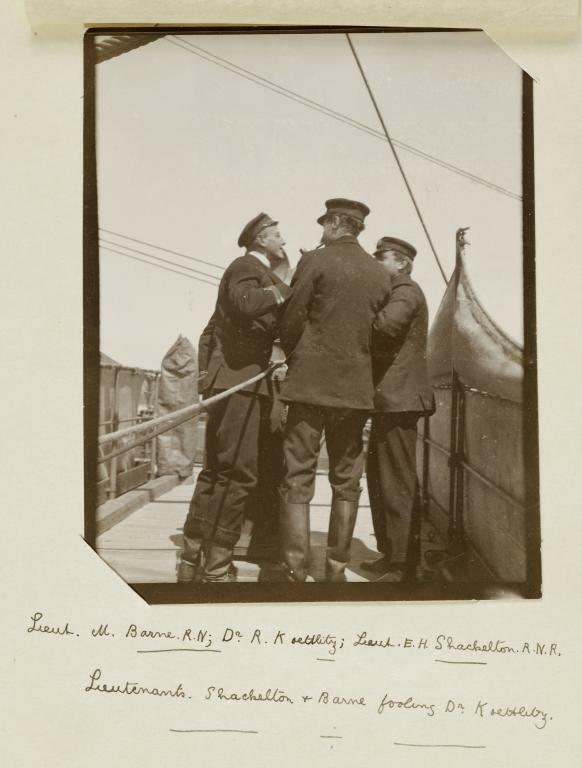 BRITISH NATIONAL ANTARCTIC (DISCOVERY) EXPEDITION, 1901-04. 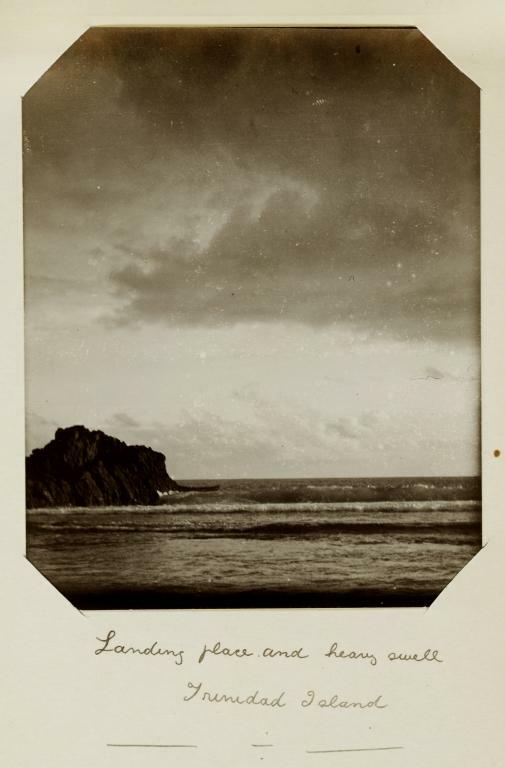 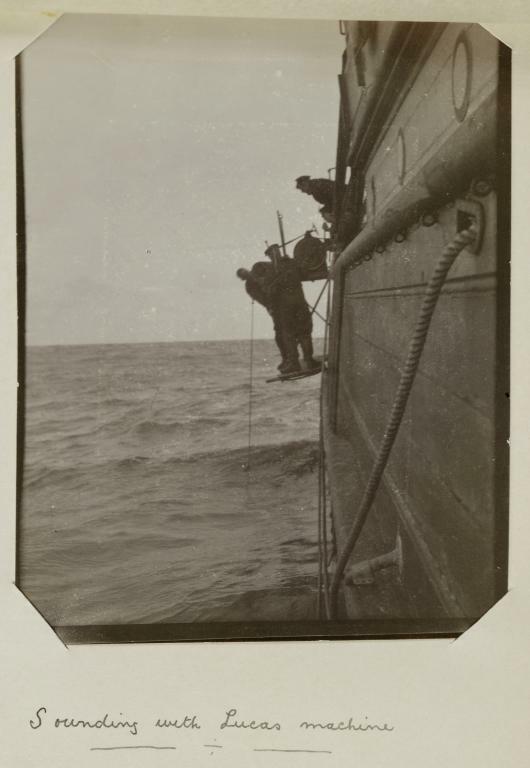 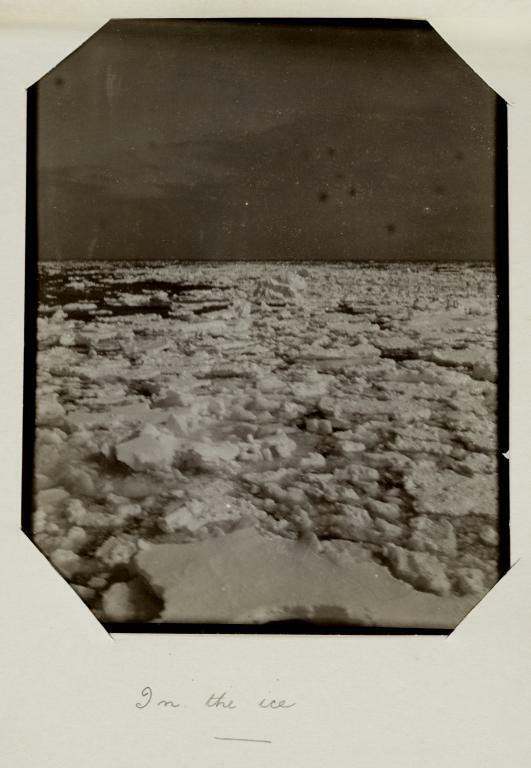 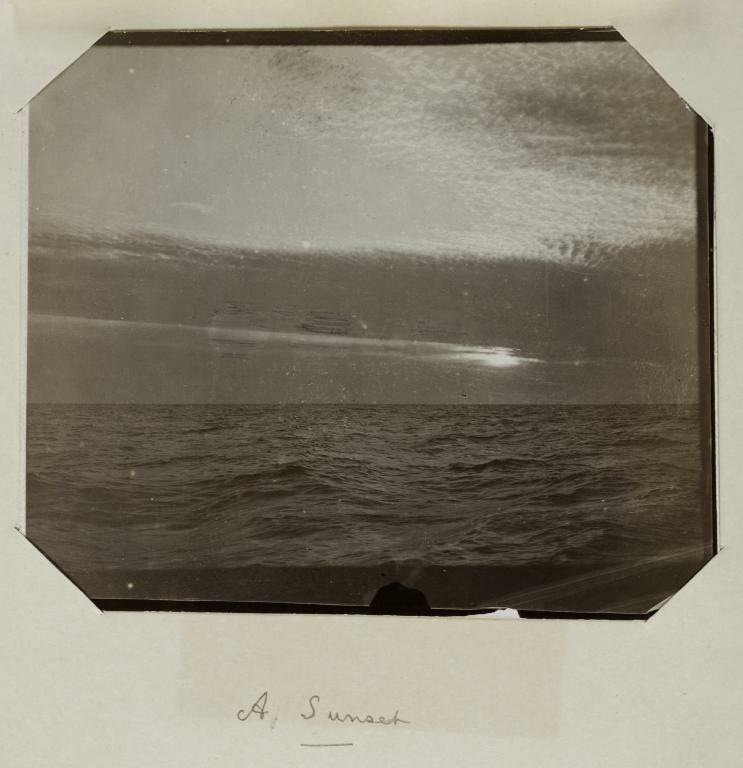 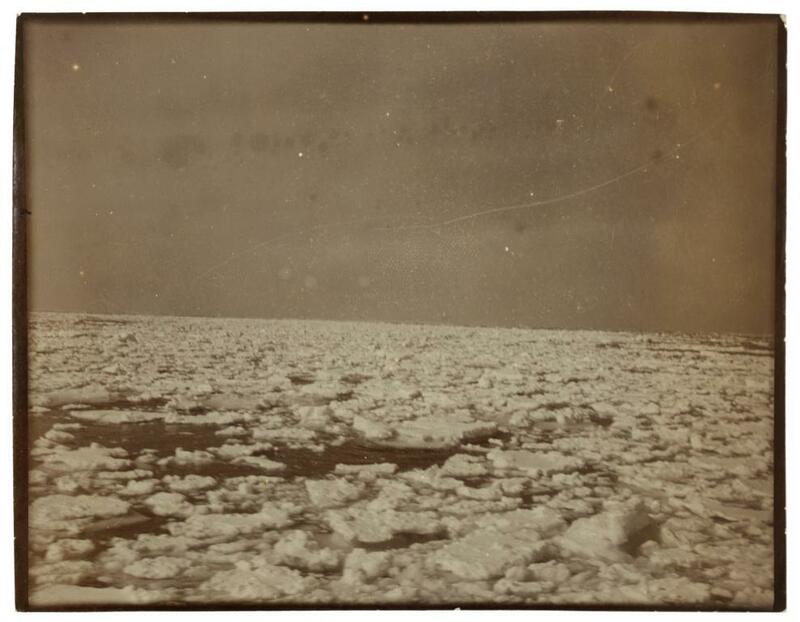 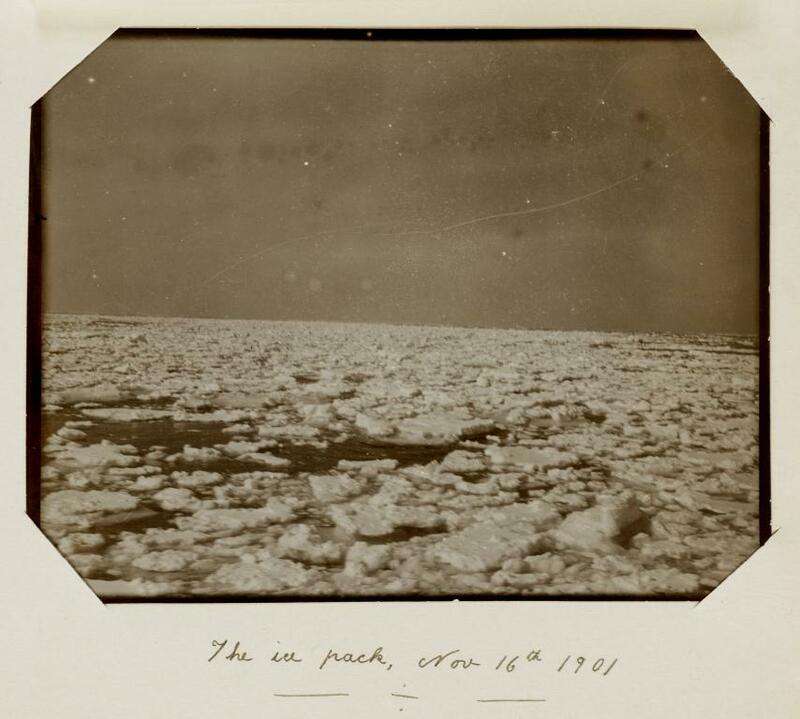 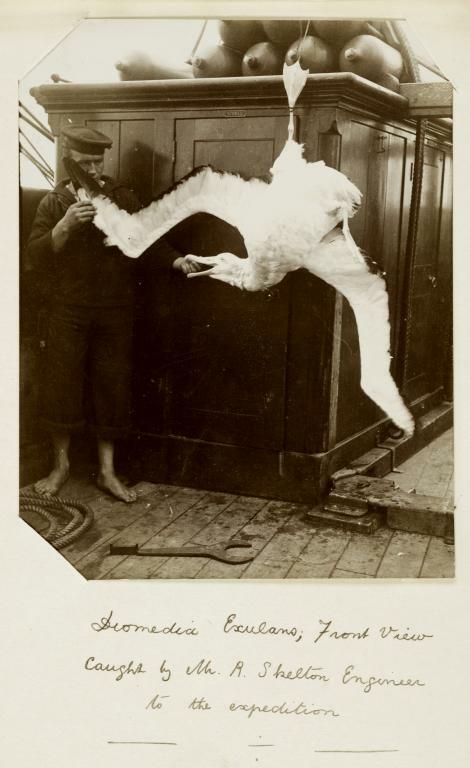 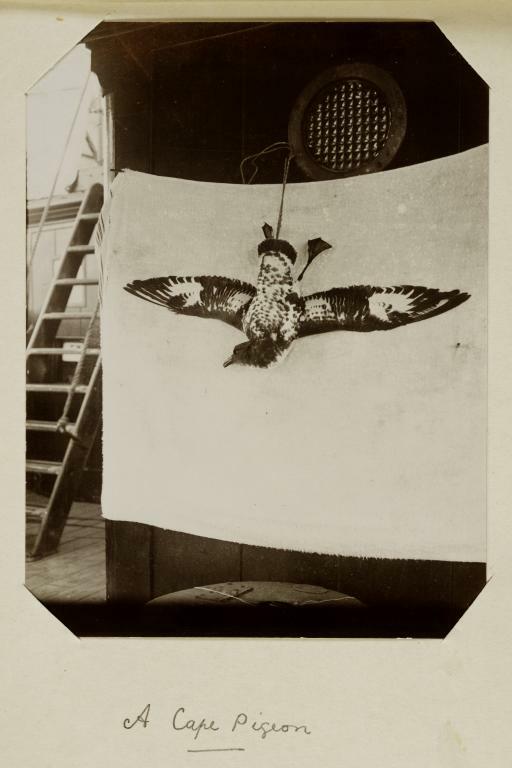 AN ALBUM OF PHOTOGRPAHS BY LT CHARLES ROYDS, RN comprising: Armitage takes the sun, Meteorographs being tested, A sunset, No wind the in the 'roaring forties' ship rolling heavily, A group on the bridge, A cape pigeon, Sounding with Lucas machine, In the loose pack, Shackleton and Barne fooling Koettlitz, In the ice, In a heavy sea, water coming through the scuppers, In the ice pack, What Ho Stum'ls in the tropics, The ice pack, Nov 16th 1901, Diomedia exulans caught by Skelton, Landing place and heavy swell Trinidad island, Our first "accident", screw after it had fallen note bush piece on keel, Diomedia exulans front view and The bow of the "Discovery", Dundee each with pencil caption and signature, possibly in Royd's hand or that of a relation verso, loosely tipped in with tissue guards, glossy sepia toned silver prints, 13 x 10cm and circa, a photograph of Sir Clements R Markham, 6 x 5cm, At Home invitation to the same, June 19th , printed admittance ticket to the "Discovery" named to W Champion & Party, June 1901, a watercolour of three loons, prints, magazine articles and press cuttings relating to the building of the ship and the expedition, 28 x 22cm, half maroon morocco worn spine detached In marked contrast to Scott's subsequent ill feted Terra Nova Expedition, it was not considered necessary to appoint a professional photographer for the Discovery Expedition. 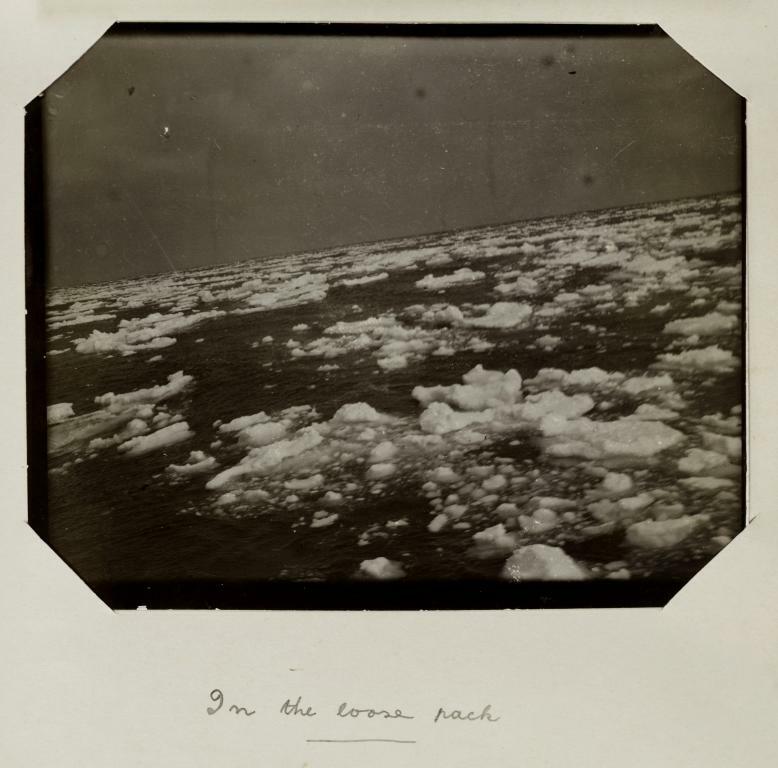 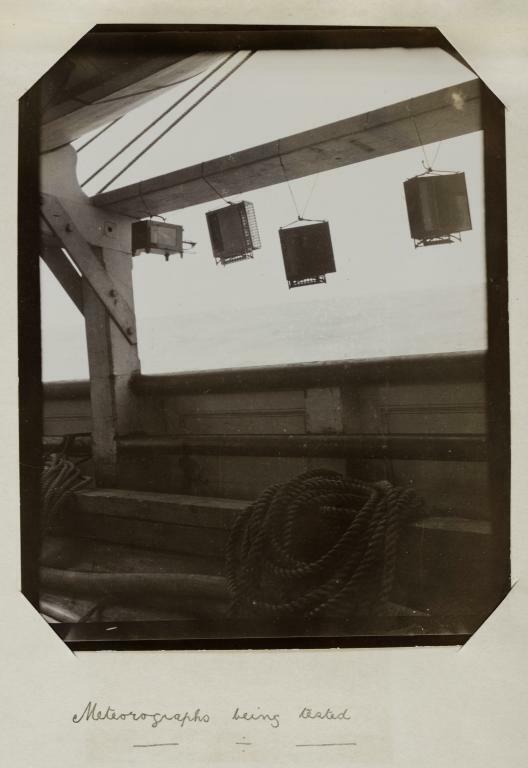 The only images that exist were therefore taken by those who had brought with them a camera, in Royds' case probably an Eastman Kodak Co No 3 Cartridge Camera, as is known to have been used on Discovery's relief ship the S.Y. 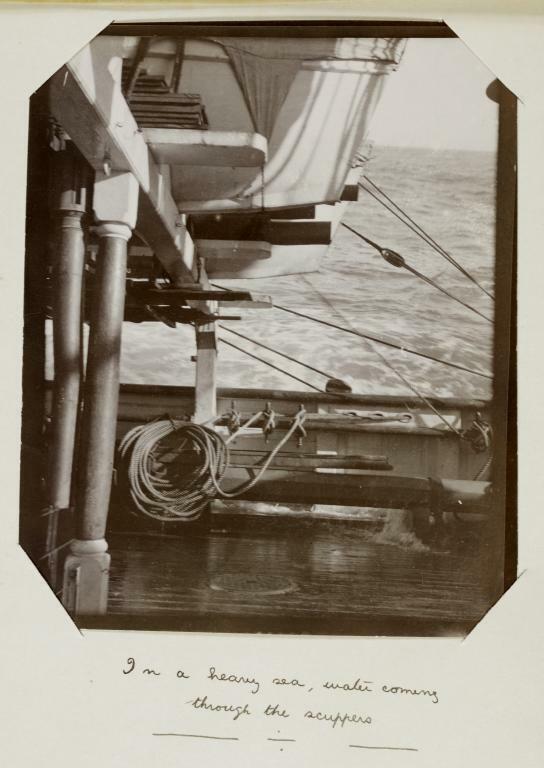 Morning by J D Morrison (1873-1938). 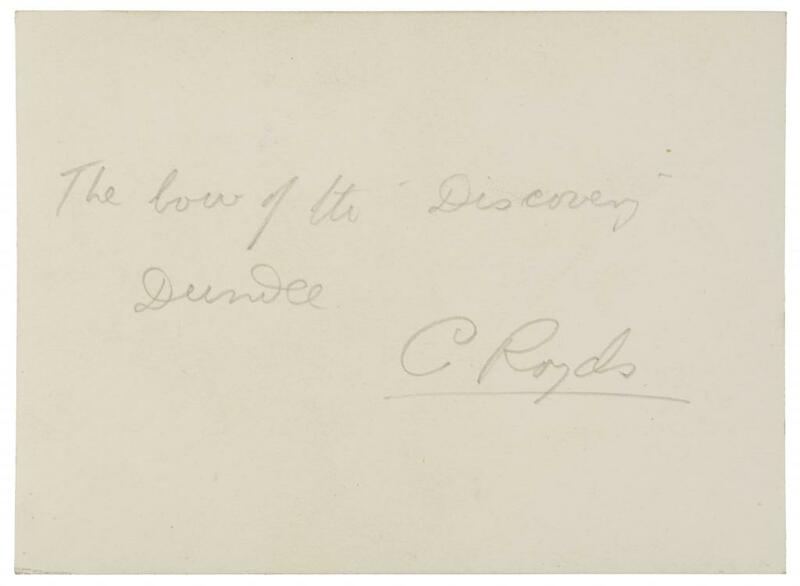 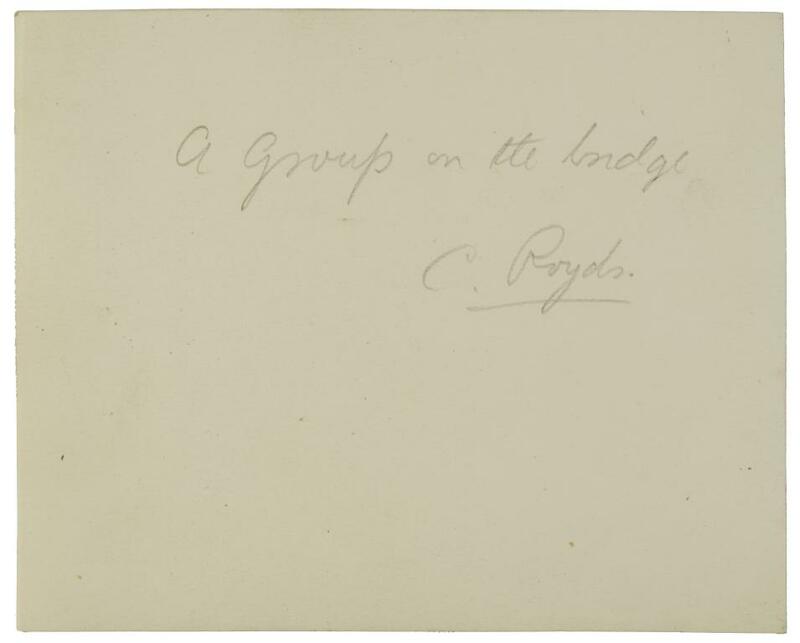 Twenty of Royds' photographs, most if not all printed on printing-out-paper very likely on board the Discovery, are to be found in this newly discovered album.As an amateur photographer Royds has left images that are both candid and nuanced. 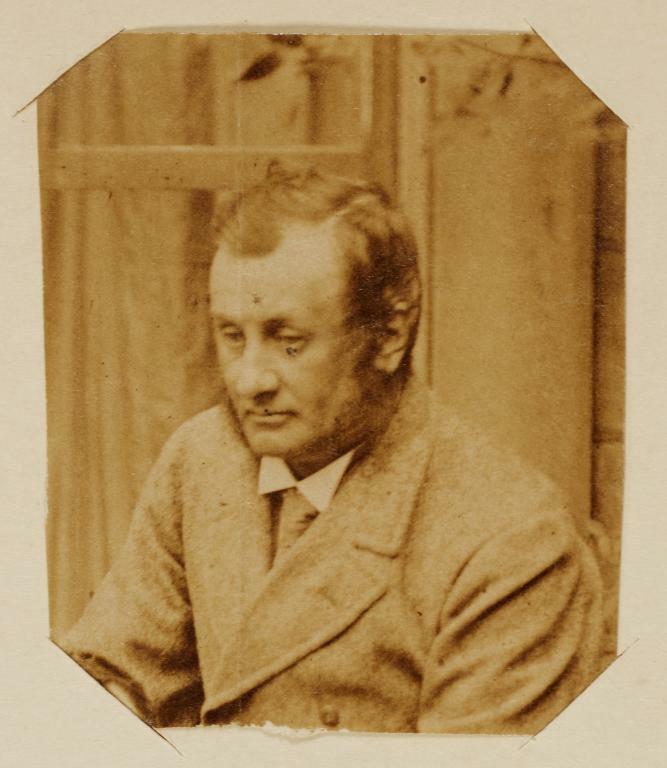 In their spontaneity and informality they are quite unlike the technically superb but sterile work of H G Ponting a few years later. 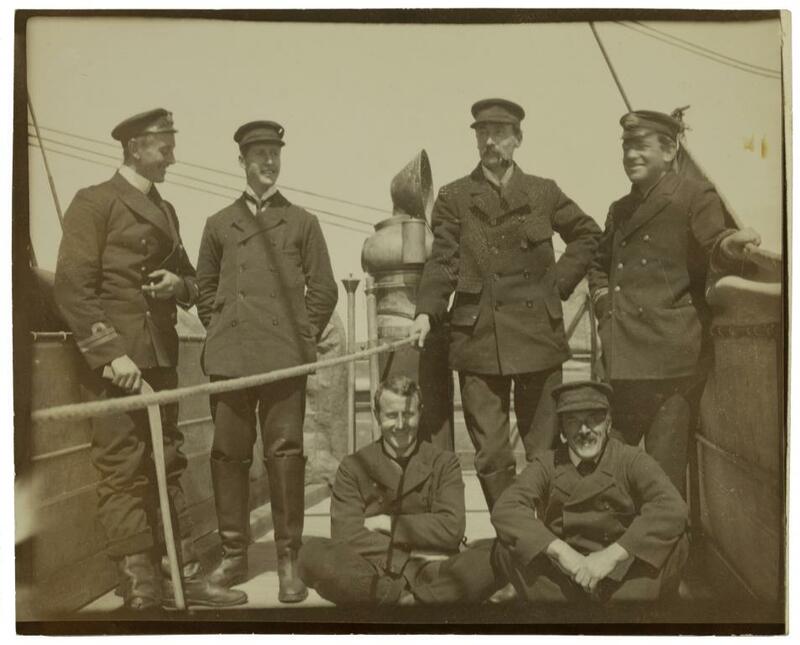 This unintended extra dimension lends to these remarkable photographs a significance wholly in keeping with those intrepid men.Sir Charles William Rawson Royds, RN (1876-1931) was born in Rochdale, Lancashire. 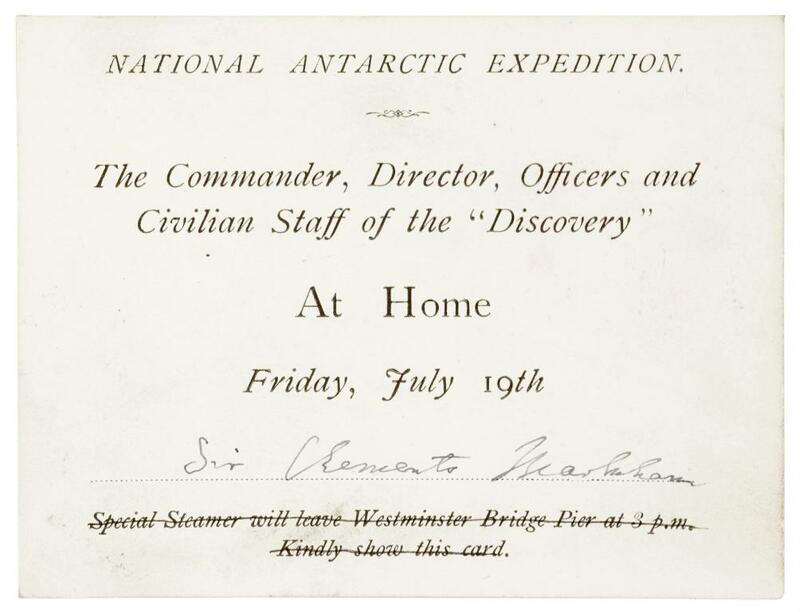 His naval career was interrupted when he was released by the Admiralty for the Discovery Expedition. 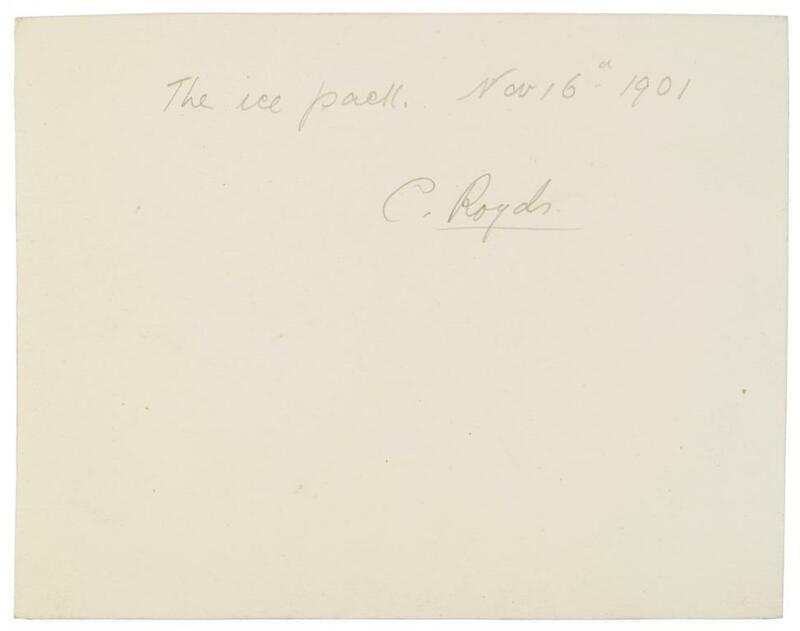 In Antartica Cape Royds is named after him. 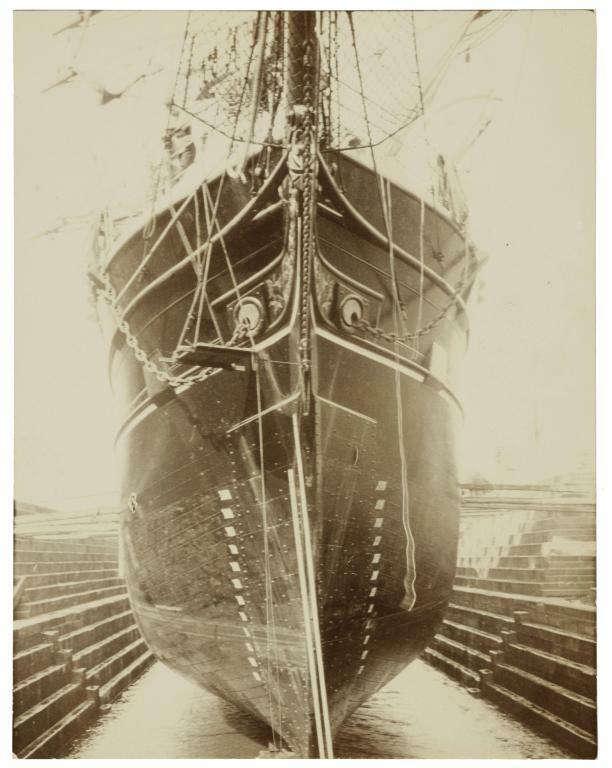 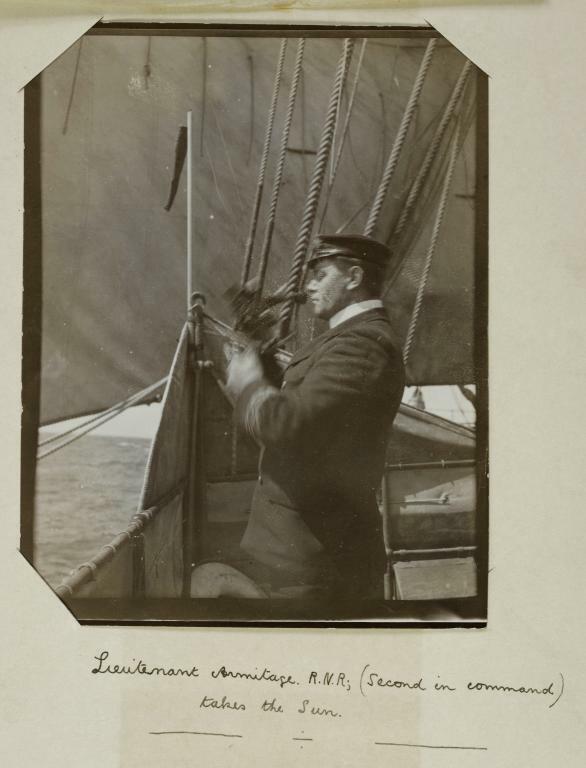 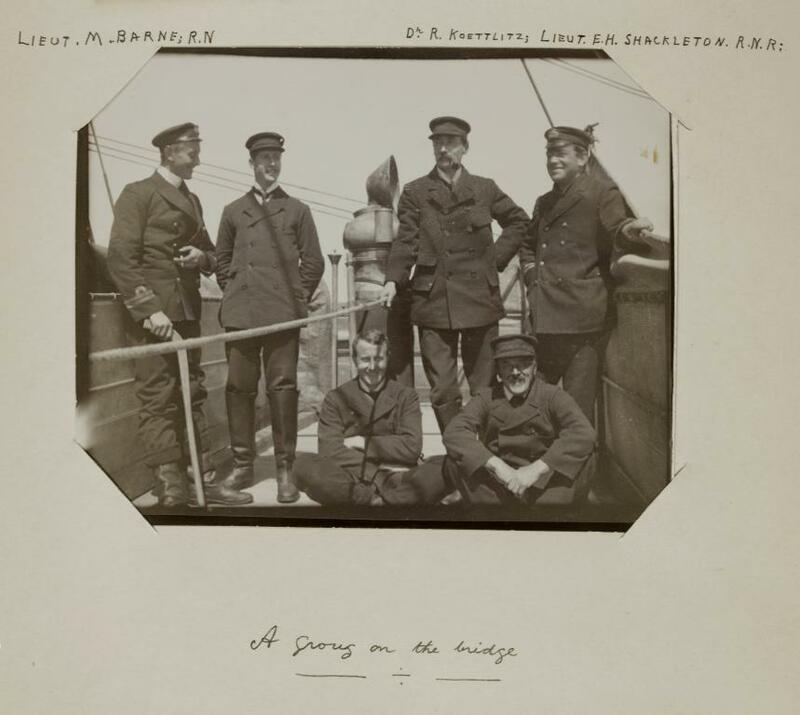 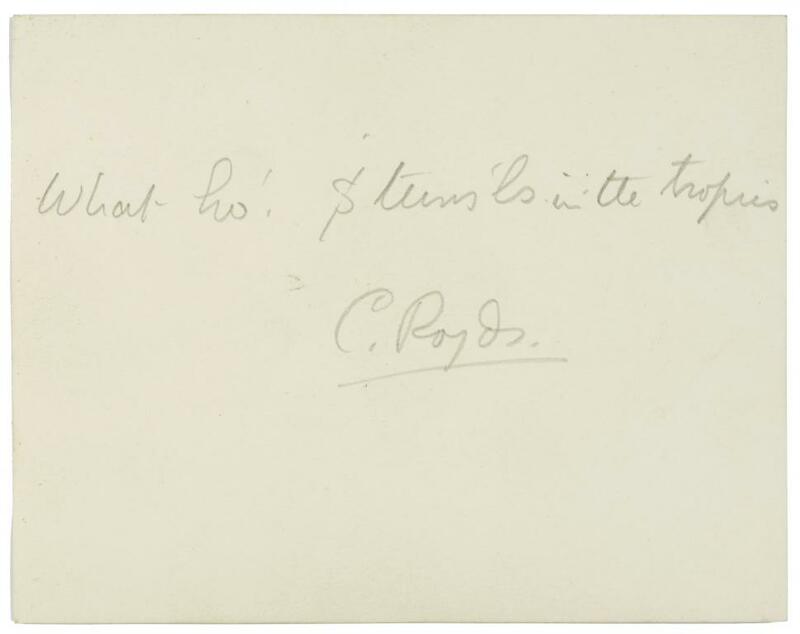 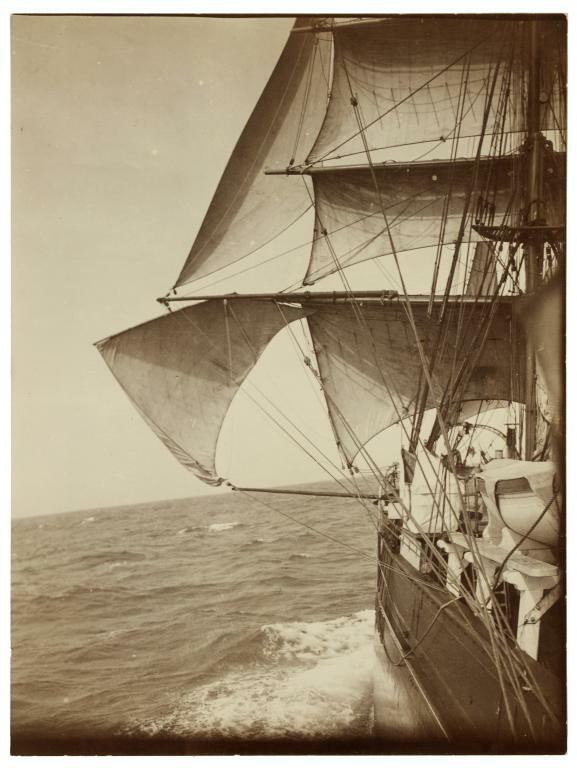 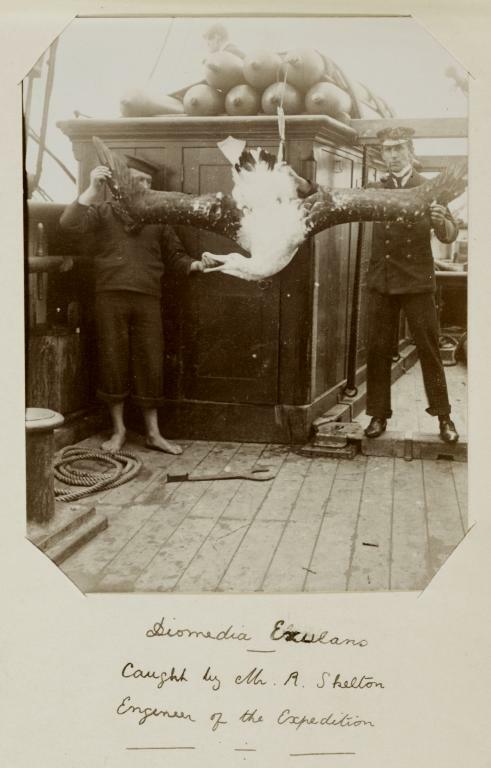 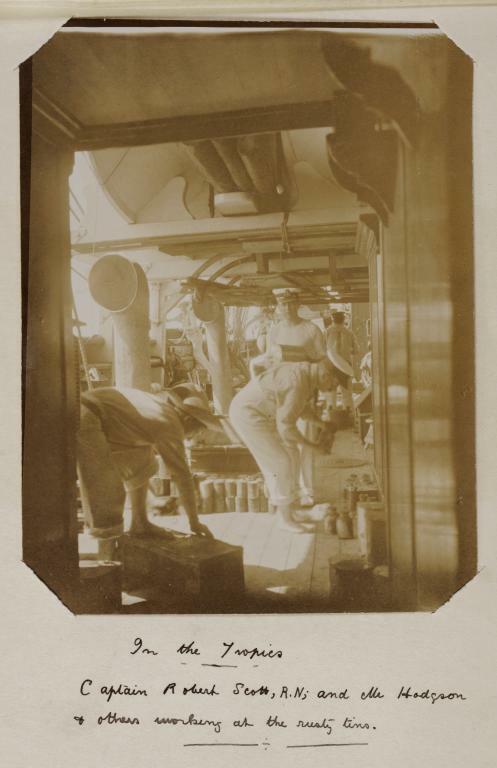 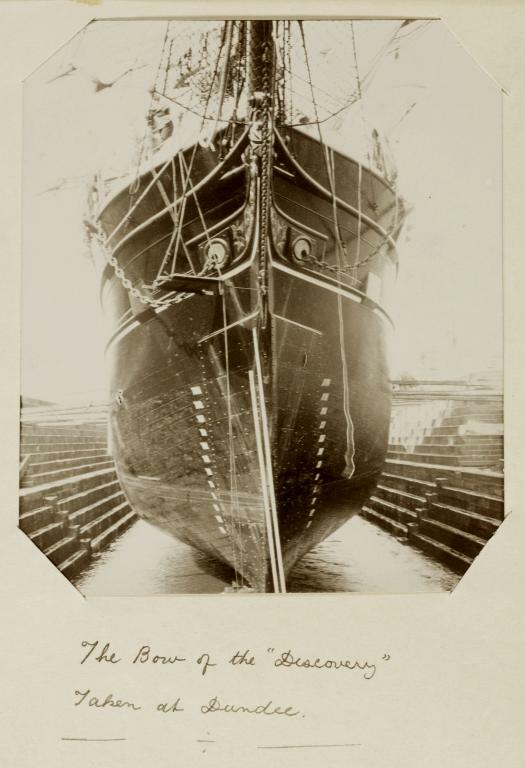 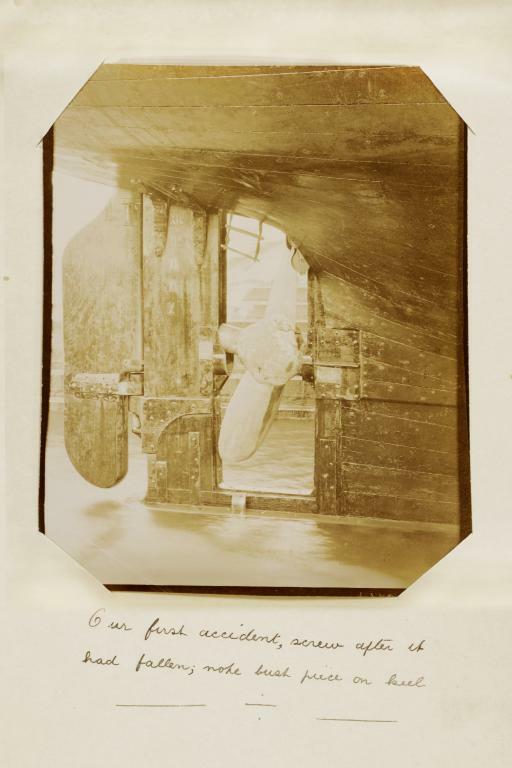 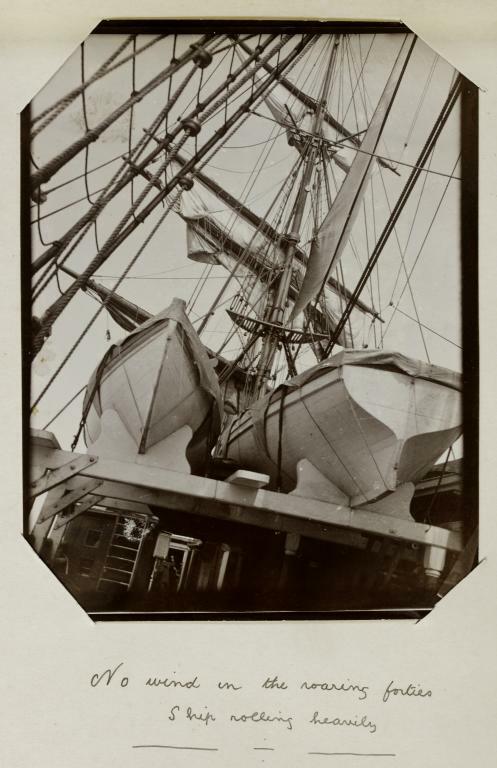 He subsequently resumed his naval career, retiring as a Rear Admiral.A group of ten photographs by Charles Royds similarly captioned in pencil and of approximately the same size, was sold Bonhams, 16 September 2009, lot 58.